Foster parent. Difficult at times. Grateful. 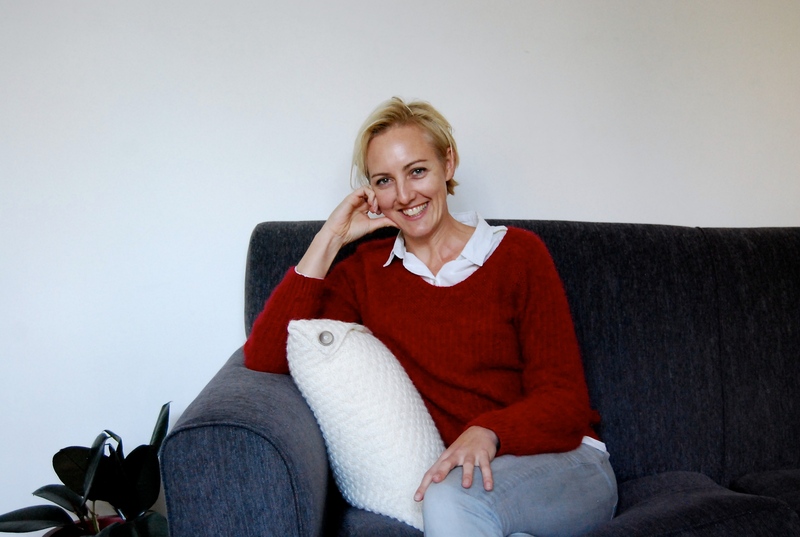 In this first ‘Not so ordinary’, Melburnian Justine Webse gives an insight into the world of foster parenting. What made you interested in being a foster parent? I grew up with a mother who’d been forced to give up her child to adoption. When the issue of parenting non-biological children came up in my own adult life, I knew straight away that adopting from a far away place just wasn’t for me. There are a lot of ‘whys’ that can persist throughout life when you do not have access to biological family members, and knowing that led me in a different direction. Having to rely on the kindness of strangers to survive, let alone thrive, is unthinkable to most Australians, yet that’s what it comes down to for these kids. In my first foster care training session I was deeply affected by the stories of adults who’d been through “the system” as children. Having to rely on the kindness of strangers to survive, let alone thrive, is unthinkable to most Australians, yet that’s what it comes down to for these kids. The need in our community for people who will parent under incredibly difficult conditions, and without much practical support or any guarantees, is huge. In fact, it’s bigger today that it was when I started. What was your hope or intention when you started? Have you met that, or has it grown into something different? My intention when I started was to try to do something useful for someone and to have some kind of parenting experience. Having kids come and go in my life never really sounded ideal, and while I had that experience for the first year I have now been raising the same two little boys for five years. I guess what started out as a volunteering job has become the centre of my life. I’ve learned that parenting is about trying to be the best possible version of yourself, and about giving up a lot of control. I guess I have learned how important it is to have one person who will make sacrifices for you, who will put you first so that you can reach your potential. I’ve learned how much give and take is involved in raising kind, responsible and self-assured people. A child psychologist I worked with some years ago gave me some great parenting advice. She said, “all relationships are about rupture and repair, what matters is how well you repair it.” That made a huge difference to me. It helped me forgive a lot of the terrible behaviour from kids, as well as my own failings. It helped me focus on the big picture of raising people, rather than individual moments in time. I’ve learned that in our society foster kids are invisible until they do something terrible, or they die. Under ‘normal’ parenting circumstances, kids get a lot of tolerance and understanding even when they mess up. Disadvantaged kids are often seen through a different lens. There is often a lack of context around behaviour because they’re living with many different people who don’t really know them. They experience different rules and ideas in every house they go to. They are forced constantly to ‘fit in’, rather than being given the chance to ‘fit together’ as other families do. They miss out on that fundamental ingredient in loving, kind relationships: acceptance of who you are, all the good and all the bad; I guess it’s what some people might call ‘unconditional love’. Foster kids often don’t get that. I’ve learned that in our society foster kids are invisible until they do something terrible, or they die. That’s the only time we engage in their stories. That’s the only time we really consider the impact of their lives on our own, or what it must be like to walk in their shoes. When I see how often we share stories of our own children on social media, and our fetishes about celebrity baby bumps and their kids, my heart sinks a little. I just think it’s a huge failing of us all not to extend that same interest to all children, everywhere. No child is worth more than another. Trying to parent under the pressure of a broken and collapsing system is the hardest thing I’ve ever done. Watching little people be consistently let down by the other adults in their lives and having no control over that is so disheartening. We just fail these kids all their lives as a community, and too few people are willing to make real change to make it better. I’ve dealt with some pretty challenging behaviour from kids in my care, but nothing compares to the behaviour of the adults that should know better. Sticking at it and not giving up. Being there for people even at great personal cost sometimes. I’m glad I did that, even though I wasn’t sure what would happen and how I’d cope. Do you have a favourite or memorable moment/event/adventure you can share? I’d had a little boy in my care for about 6 months. He’d gone from being very frightened and confused when he arrived at my house, and not being able to speak a word of English, to being an energetic, talkative, and happy little guy obsessed with Thomas the Tank Engine. Not long after his fourth birthday party the news came through that he was able to return to the care of his mother after she had overcome a significant mental health issue. I will never forget he and I packing his suitcase, and then standing out on the front porch as we waited for the social worker to collect him. He was so excited and I had this mixture of joy and sadness about seeing him go. Here was this tiny little four-year-old, waving excitedly out the window as the car drove off down the street, beaming as he yelled, “Bye-bye Justine!” We both changed each other’s lives. There an awful lot that’s wrong with the child protection system nationally. The 100+ reports, inquiries and investigations into it have proved that over and over again, and I have always called that out as I see it too. I’ve ensured I was always really well-informed about the legal framework foster care operates within because so many of the social workers are not. If I hadn’t done that, kids in my care would have missed out so many things the rest of us take for granted. Essential health care, access to education, the right to learn and have developmental concerns addressed. Australia is a rich country, but these kids don’t get the benefit of that wealth. I have two happy, healthy kids I’m raising now. They have benefited from me being perceived as ‘difficult’ at times, and not settling for second best for them. Whoever is responsible each year for the arbitrary number in the budget against the ‘child protection’ line item. He/she must know, every time, that’s its woefully inaccurate. Every year the need for foster carers is increasing, yet the number of people becoming and remaining foster carers is decreasing. Worse still, the number of indigenous children entering state-based care is higher than it was during the stolen generations. That is…catastrophic. In five words, how does being a foster carer make you feel? Grateful for everything I have. If you are interested in learning more about foster caring, or even being a foster parent, Justine recommends visiting the Berry Street website. Having volunteered in children’s shelter & residential treatment center for three years, I have the same take on “The System” – it’s broken, but those few amazingly dedicated people restore my faith in humanity. Thanks for this. Was deeply touched by this article. These words came to me. Sadly that above lie in the past was used to pressure vulnerable mainly pregnant unwed mothers in the past to pressure them to Give up their beloved offsprings for adoption. Tearing a baby or child totally from all imformation and contact from original , natural family members was so WRONG. Never in my view was that In the children’s best interests. Only though in those extreme cases when a child’s life is in obvious danger should this be allowed . Sadly many parents from all walks of life treat children a commodity. Congratulations Justine you have put into loving Practice and made that statement in the best interest of the child TRUE for the children in your care. How wonderful to hear of someone who is truly child-focussed. There are so many needy children in many parts of the world who could really benefit from the selfless care and protection offered by carers like Justine. You have my deepest admiration, Justine, for your generosity and selfless will to assist these children. Great post, great comments. Thanks so much Amy for your insight. I too, realise how broken the system is and how desperate we are for selfless and dedicated parents like Justine. She’s one in a million.